When I was younger, every Easter my extended family would hold a big get-together at “the farm” as we called it. While it was once a farm, it hadn’t been productive in a couple of generations but was a regular weekend getaway and host to numerous family gatherings and holidays. Our Easter cook outs included the required Easter egg hunt, progressively more confetti eggs each year, and a bounty of homemade food. Located near liberty Hill, Texas we would also be treated to fields of bluebonnets as we drove the dirt road up to the house. As a child it was always a treat to ride in the back of my dad’s truck with the tailgate down and my feet swinging over the dirt and rocks as we made our way to the house, originally an old leaky wooden building but later replaced by a more modern home built by hand by my uncle Junior and our families. I still remember hoisting the framing onto the slab back when it was constructed. In his later years my father made some painted wood cutouts for the different holidays and when you got close to the house the excitement would build as various images depicting the holiday came into view. Other traditions included tossing colored rolls of crepe paper into the trees and we would often have a candy filled piñata to beat into submission. Then there was the sausage. Always from Taylor, it would be cooked far beyond what most would consider done by my uncle LV. I think it was usually considered done only when the beer ran out, but I would always take as much as I could home and feast on it until it was gone. Those times of family and food were some of the best of my life, and particularly at Easter, those fields of bluebonnets cemented images into my mind. Life moves on and the uncles referenced above, father, and mother have all passed, but every time I see fields of bluebonnets I’m reminded of the great times I had. The bluebonnets also remind me of the circle of life and rebirth that is also the foundation of Easter, with each year bringing a new generation to life, to enjoy for the brief time they exist. 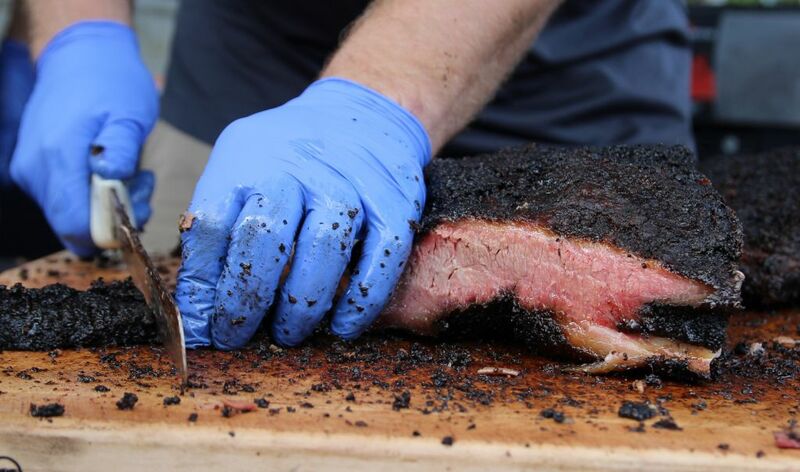 In recent weeks as I drove through Texas to visit barbecue joints, I passed fields of blue and thought it would be a good idea to come up with a list of barbecue joints located near to or on the way to the better bluebonnet fields in Texas. State wildflower day is April 24, and peak bluebonnet viewing is usually in early to mid April. Texas is notorious for unpredictable weather though so it’s best to keep an eye out and also use resources like http://texas.wildflowersightings.org/sightings/map to get updates on when the viewing is best that year. Pay attention when driving near bluebonnet fields as you will encounter parked cars, slowing cars, and possibly children or pets running amok. The best viewing is near Fredericksburg, with Willow City Loop as the preferred route of many. 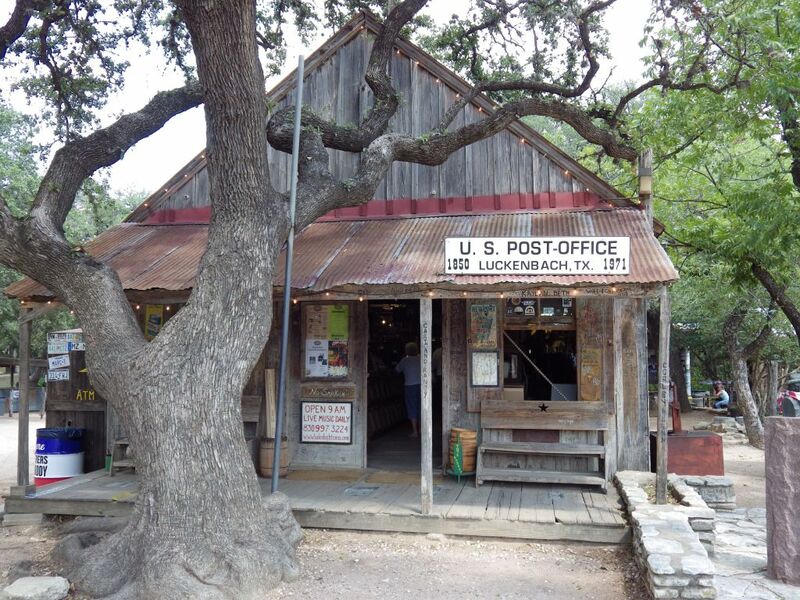 Don’t forget to stop by the city of Luckenbach which should be at least an annual ritual for any true Texan. Cranky Frank’s in Fredericksburg will provide a meaty respite if you hit more wineries than you planned to. If you’re coming from San Antonio or perhaps Houston, you can come in from the south taking I10 and stop by Buzzie’s in Kerrville on your way. Nearby is a must stop (for me) Stonehenge II and the Easter island heads. From Kerrville Take Hwy 16 to Fredericksburg and beyond. One route I’ve taken is I10 to Hwy 16. Turn right onto Hwy 290 and taking that to Fredericksburg. Detouring slightly for a beer at Luckenbach before continuing down Hwy 290 (stopping at either LBJ state park or Garrison Brothers Distillery depending on time and company). Then follow 290 back to Houston, stopping in Elgin for a sausage wrap at Southside Market before making the rest of the trek home. Be aware if you haven’t been in awhile that 290 east of Austin is now a toll road but you can ride the feeder if you like to fight the system. Chappell Hill hosts the official Texas Bluebonnet festival http://www.chappellhillmuseum.org/bluebonnet.html , and for good reason. The bluebonnets blanket the countryside from there to Brenham. If you live near Houston you don’t have to drive far and can visit a great new barbecue joint. Hit up the new Truth BBQ in Brenham before the lunch rush as they sell out in the early afternoon. 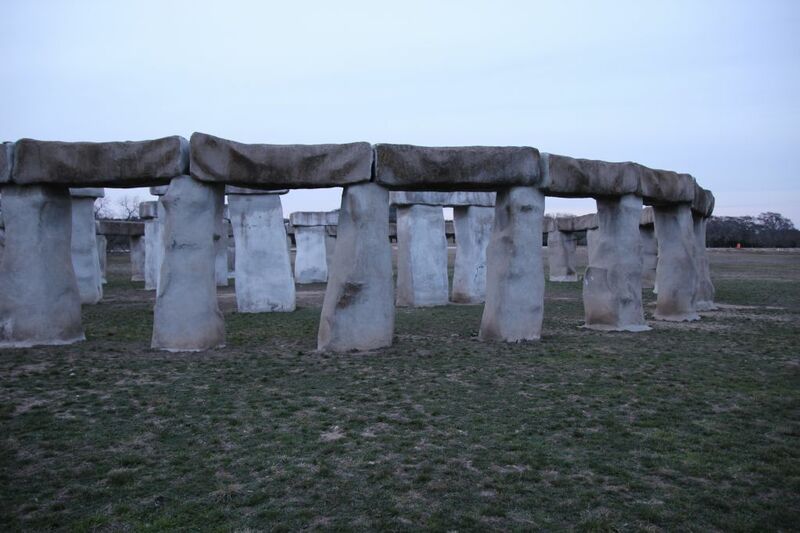 From Brenham take 105, or head back to Chappell Hill for the festival April 9th and 10th 2016. From Chappell Hill take FM1155 which meanders past Washington on the Brazos to 105, and then through Navasota, coming back on Hwy 6 or keep heading east to FM1774. 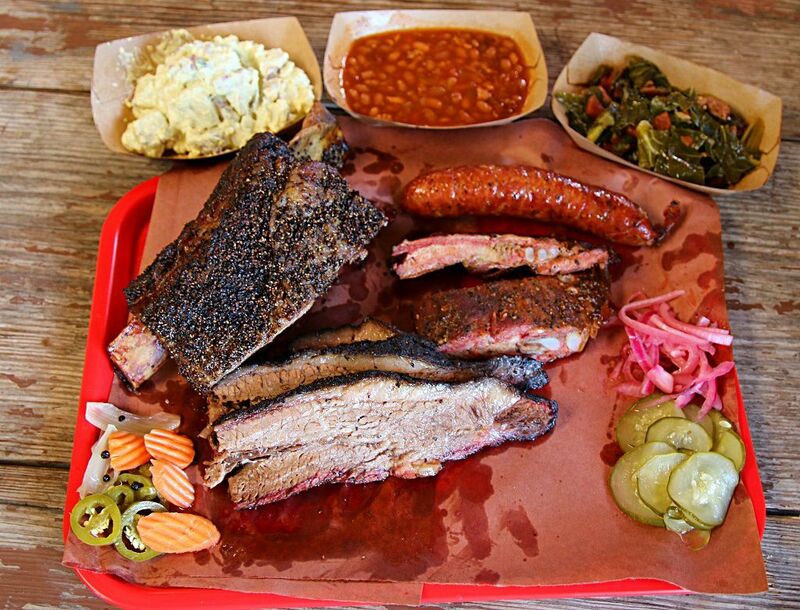 A nice trip from Austin westward can include some quality barbecue stops. 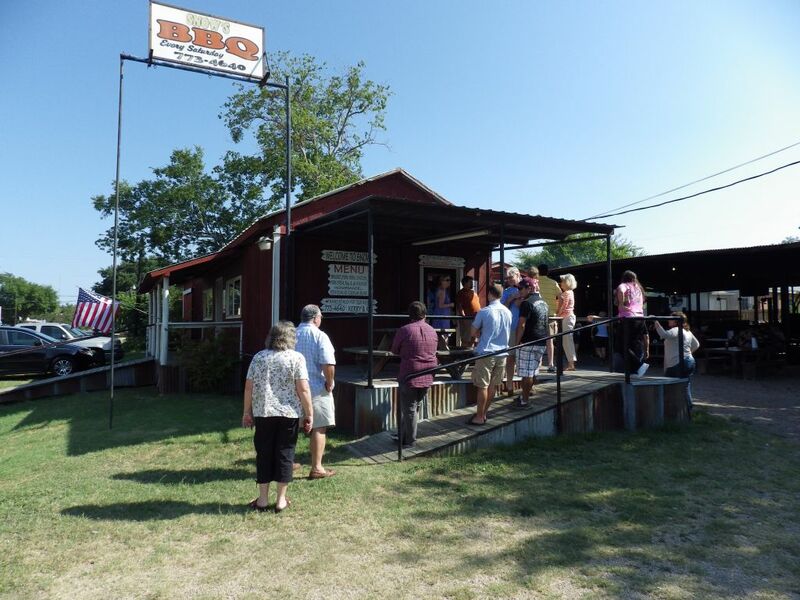 Make a loop that includes Opie’s Barbecue or Hwy 29 BBQ (it will be hard if not impossible to hit both before they sell out) with a stop in Llano at Cooper’s . While there breathe in that central Texas air and feel your stress roll out of your body. Take Hwy 71 to Spicewood in time for lunch at Opie’s Barbecue, then continue on Hwy 71 and turn left onto Hwy 281, In Johnson City turn right onto 290. 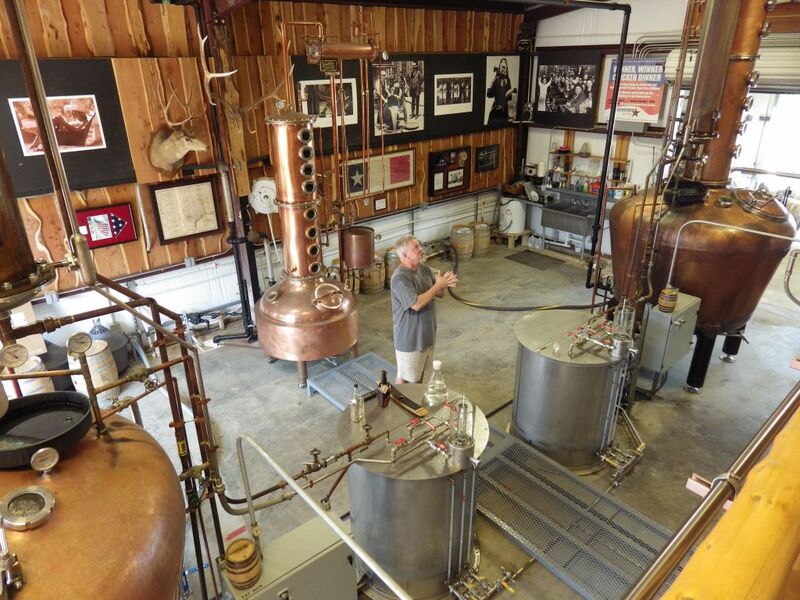 If its an all adult group, make a detour at Hye Texas and visit Garrison Brothers Distillery, otherwise make a relatively short stop at the LBJ State park. It was LBJ’s wife, nicknamed Ladybird, whose programs to beautify roadsides helped popularize wildflower growth throughout Texas. Follow 290, and another stop could be a detour over to Luckenbach before making your way back to 290 and Fredericksburg. 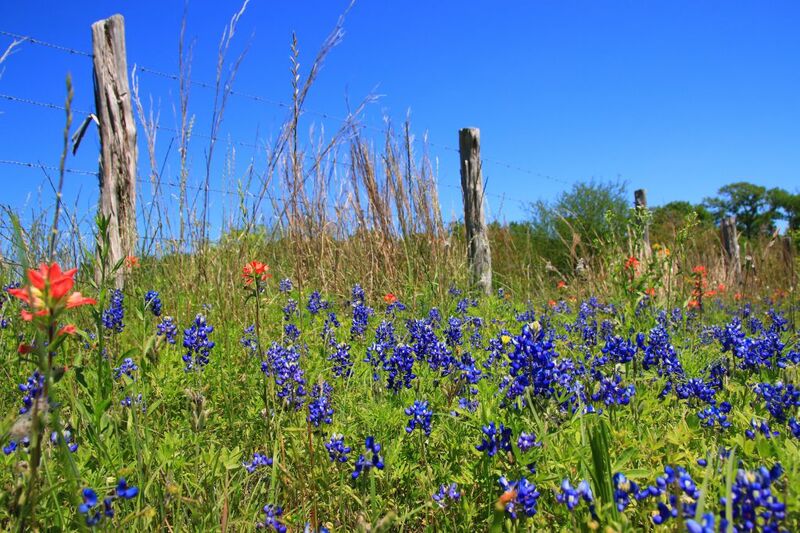 Take a right onto Hwy 16 for some great wildflowers and follow that up to Llano, where you could grab an early dinner bite at Cooper’s before making your way back to Austin. Alternatively for a shorter trip from Austin take Hwy 29 to Bertram for Hwy 29 BBQ , then onward to Burnet. Turn right onto Ranch Road 234. Turn left on Graphite Mine Rd which takes you back to Hwy 29. Between Austin and Marble falls I like to take FM1431, a slower route but a great winding road and one of the better motorcycle roads in Texas. You could also make it to Burnet from the Dallas/Fort Worth Area, and stop by Miller’s Smokehouse in Belton. 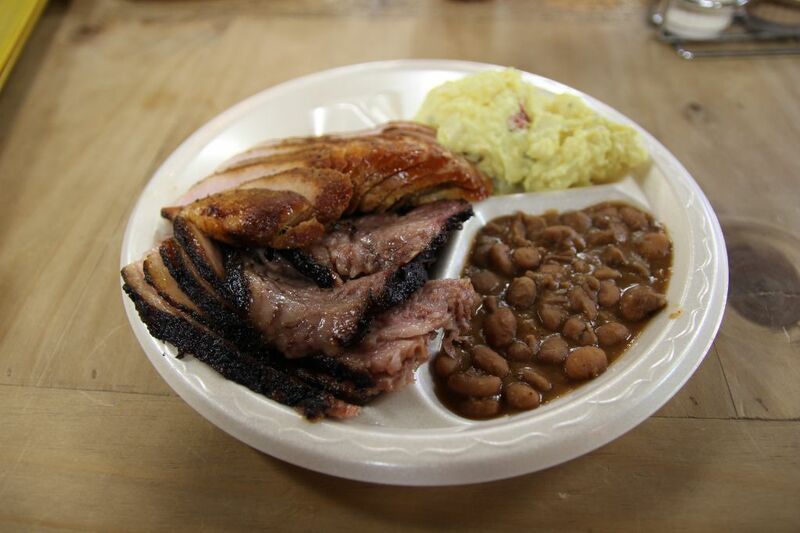 Another trip out of Austin or Houston could include Snow’s BBQ. The bluebonnets won’t be as plentiful as some other parts of Texas but you can meet the belle of barbecue, Tootsie Tomanetz. Snow’s is open only on Saturday and sell out is early so make it your first stop for a barbecue breakfast. Then take FM112 over to Louie Mueller if you can handle more BBQ or at least grab a quarter pound of brisket and some peach cobbler with Blue Bell ice cream. If you haven’t been, take the time to stop by Taylor Café for a unique barbecue experience and try their Turkey or all beef sausage. Heading back to Houston, take 95 south through Coupland and stop at Southside Market for their original beef sausage or sausage slammers, two of my favorites there. In Plano you can walk the bluebonnet trail.The 8 mile trail https://www.plano.gov/DocumentCenter/View/361 has restrooms and drinking fountains to make the hike enjoyable. The trail connects to other paved routes if you prefer to cycle. 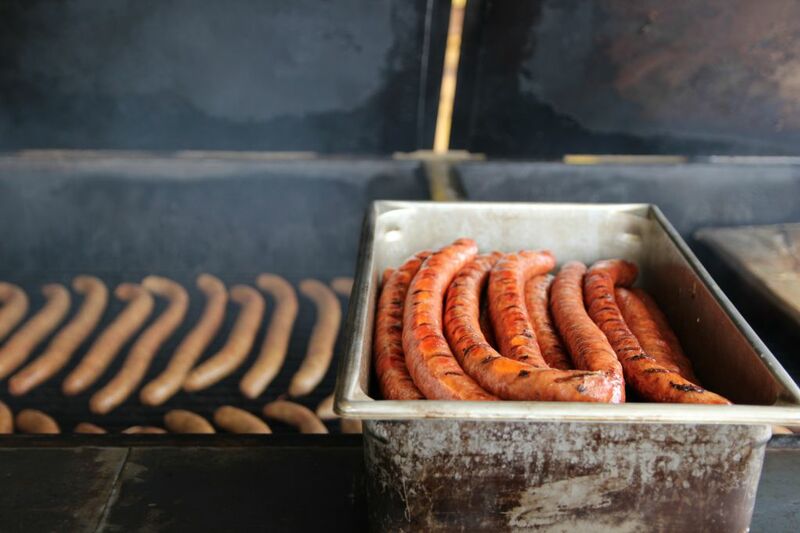 Make the short drive from there to Lockhart Smokehouse which features Kreuz Market sausage, or Hutchins BBQ for quality barbecue. If you are hungry they offer an incredible deal that was $18 for all you can eat at last check. Ennis is home to the official Texas bluebonnet trail http://www.visitennis.org/bluebonnet.htm , but I am unfamiliar with any quality barbecue nearby. Lions Den is highly rated online, but I have not visited. The best suggestion I can give here is stop by at opening time for Pecan Lodge on the way in or out of town. 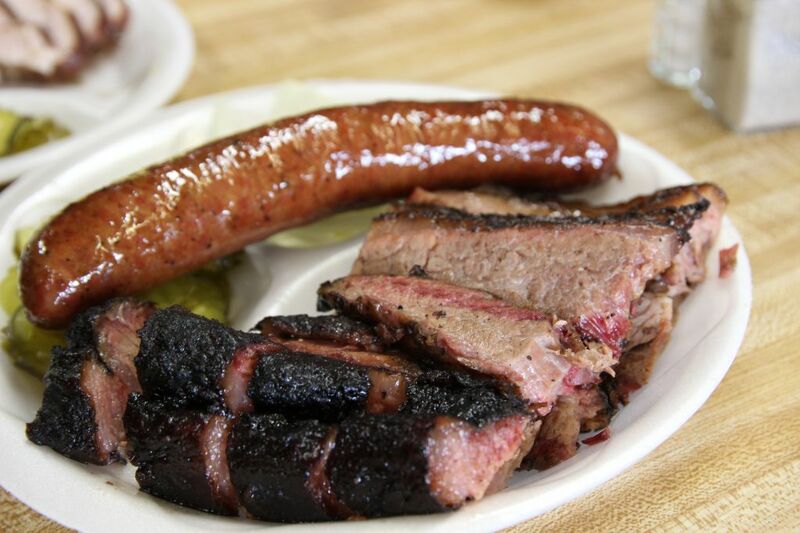 Even if you can’t hit the more popular bluebonnet stops, there are some barbecue visits you could make that are still in the “bluebonnet triangle”. 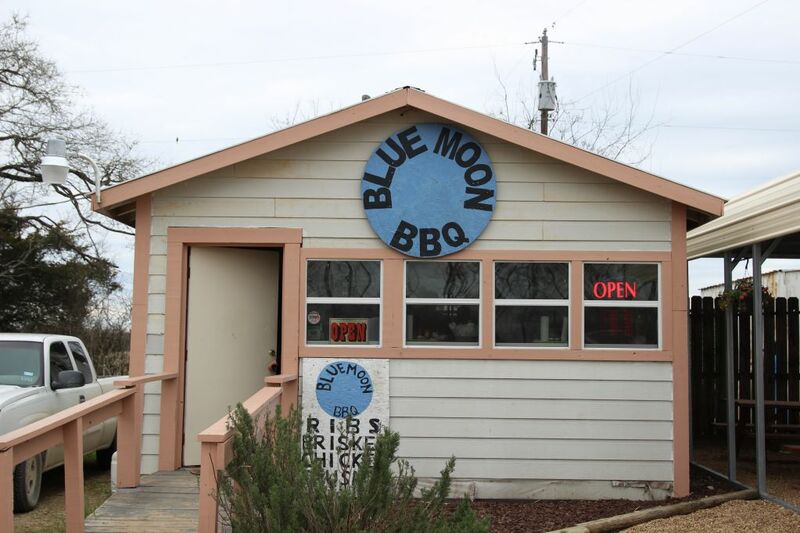 Between I45 and Hwy 6 on “OSR” (Old San Antonio Road) lies the small but great little Blue Moon BBQ. Close enough to the bigger fields to work into a trip are the big three in Lockhart. Especially if you’ve been eating your barbecue in Austin, a return to Lockhart is in order to rediscover the small town charm and origins of barbecue. If an overnight stay is in your plans I highly recommend Hays County Barbeque. On weekend nights they offer live music, cheap beer, and serve barbecue as late as 8-9pm based on availability. Of course they are open for lunch as well and can make for a nice pit stop before heading out further west.Another stop worth considering is Kent Black’s outpost in San Marcos.One tip, they’ve been selling pork rib by the rack for half price on Mondays. 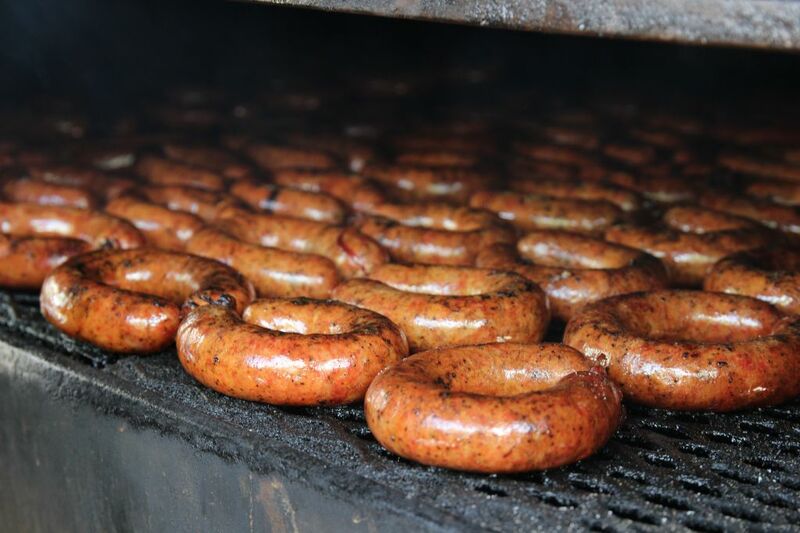 The month of April is an excellent time to take a barbecue and bluebonnet road trip. Make it happen and explore Texas!